Plot - A romantic tale between a young lady who cherishes reading books, and the kid who has beforehand looked at all of the library books she picks. Shizuku Tsukishima is a free-spirited and cheerful 14-year-old young lady who is at present making the most of her late spring vacation. She cherishes investing her free time at the nearby library where she sees that the books she peruses are frequently looked at by a kid named Seiji Amasawa. One day while riding the local train, Shizuku sees an abnormal feline sitting close to her. Why might a conventional feline ride a train? Shizuku chooses to follow the mysterious feline to see where it goes, and soon discovers an antique shop owned by a violin creator named Nishi, the grandfather of the kid who shares her taste in literature. Seiji and Shizuku soon get to be companions keeping in mind Seiji is sure of his dreams and how to tail them, Shizuku is still uncertain of her own abilities. Nonetheless, when she sees an unusual cat statuette, "The Baron", in the shop, it appears as though that statuette whispers something to her, pulling at her heart and giving her the motivation she so desperately required. One voice pushes Shizuku more remote than she could have ever envisioned, changing her life forever. 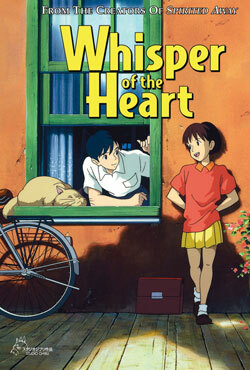 Box Office Earning of "Whisper of the Heart"